I was down in Pennsylvania this past weekend visiting a young lady I’ve been seeing and we went together to Pennsbury Manor, the home of William Penn, the founder of Pennsylvania. 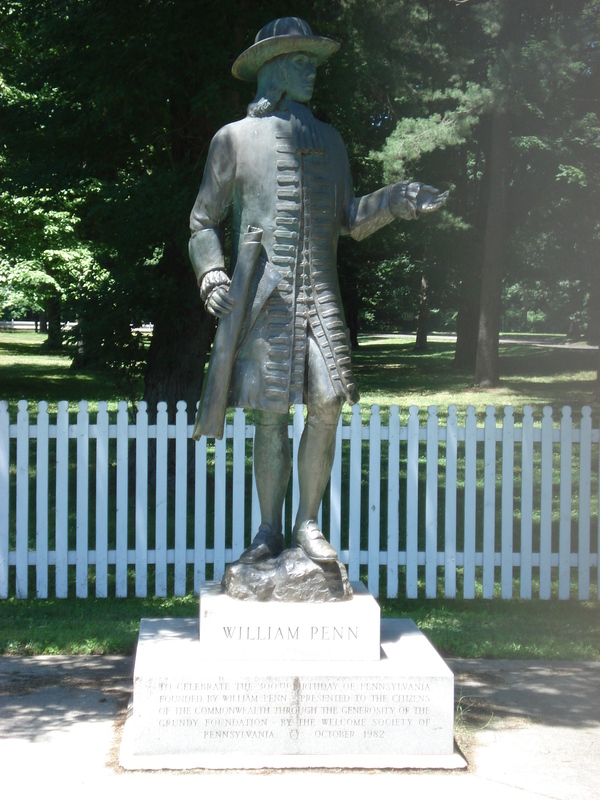 Penn (1644-1718) was the son of another William Penn who was an admiral in the British Navy and supported the return of Charles II as king to England. In payment for using Penn’s ships to return Charles, Charles gave all of the land known as Pennsylvania (and also at the time what is now Delaware) to the Penn’s to be settled. As long as it was named after Penn’s father (who had died at this time) it was agreed. Penn became the governor of the new Commonwealth. Penn was a Quaker (he was friends with George Fox the founder of Quakerism) who believed in the equality of all men under God. 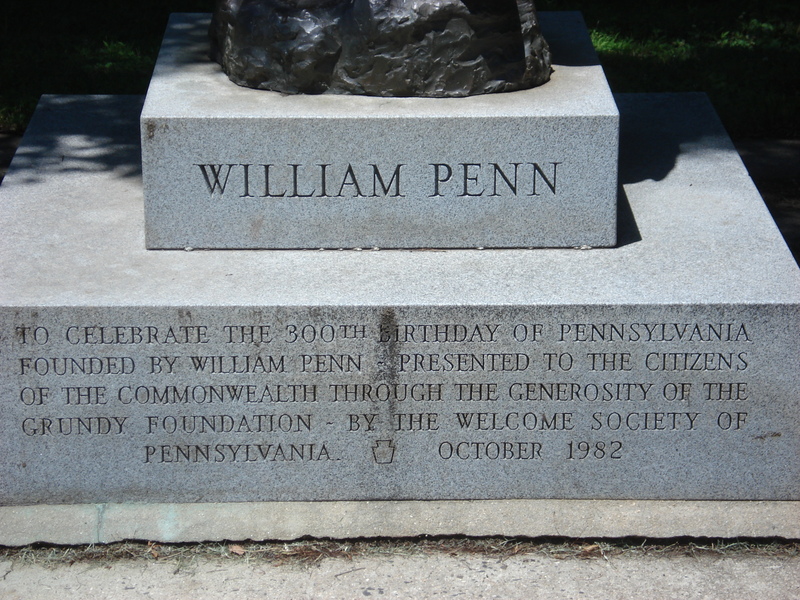 While he had his problems like the next man, he worked hard at establishing a democracy in the Commonwealth of Pennsylvania (which means Penn’s Woods). It was a fascinating look into the life of this figure. Here are some pictures below. Inscription under statue of Penn. 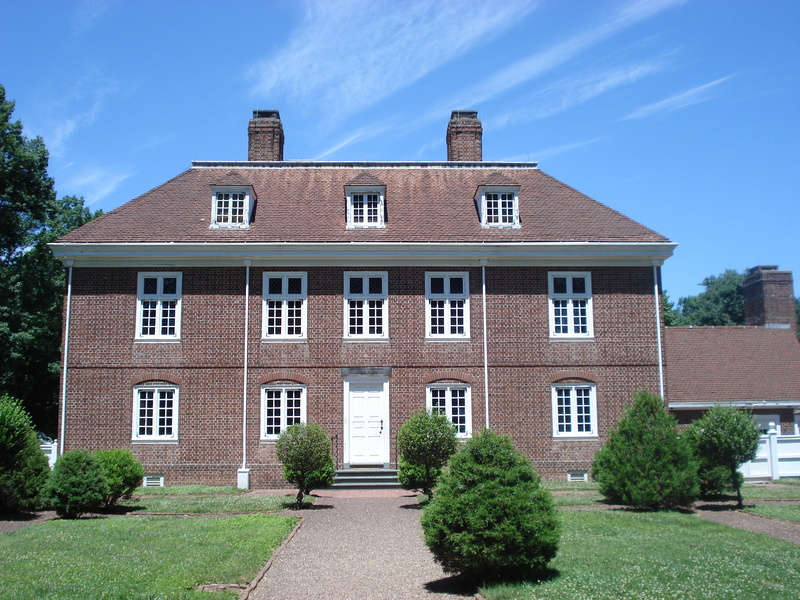 Pennsbury Manor. William Penn’s home. You are currently browsing the archives for the William Penn category.